Panasonic Australia is set to unveil a new 4K integrated remote camera that offers 4K 50p capture – a first for a broadcast-class PTZ solution – at Integrate 2018, Australia’s largest AV expo. Ideal for high-end applications including broadcast, production and events and staging, the AW-UE150 will incorporate a 1-type MOS sensor and 20x optical zoom, as well as seamless intelligent zoom (iZoom). The 4K interfaces supported will include 12G-SDI, HDMI, IP and optical fibre. Along with HDR mode, support of various 4K interfaces and simultaneous 4K/HD output, the AW-UE150 will also afford the widest viewing angle (75.1 degrees, horizontal) in its class – a perfect solution for filming stages, stadiums and arenas or high-end broadcast projects. “We are excited to introduce an integrated robotic camera to our range. Our customers love the AW-HE130 and have asked for that ‘next level up’ model for high-end projects – the increased level of performance offered by the AW-UE150 will provide them with exactly that. 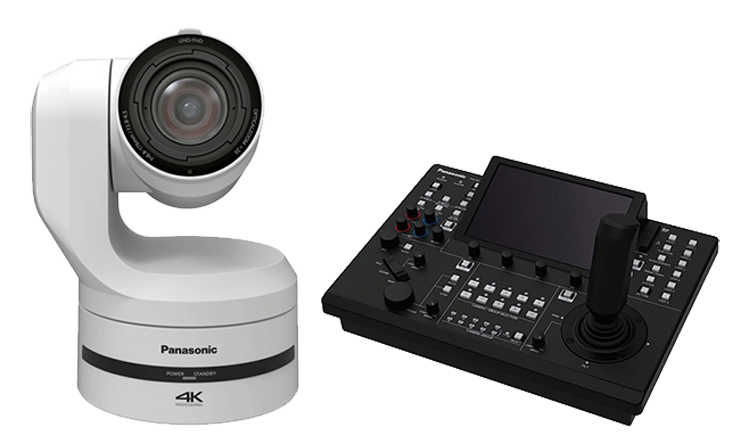 Panasonic has also announced a new and intuitive camera controller, the AW-RP150, which is compatible with the AW-UE150 and Panasonic’s higher-end PTZs and other remote cameras. The AW-RP150 offers significant improvements over previous models, including a new single-hand operation joystick (controlling PTZ or Focus) and a large touch-panel LCD screen for essential camera functions such as monitoring and menu setting. Both products will be available from specialist Panasonic broadcast distributors and resellers in early 2019. Pricing will be announced closer to the release date. For more information, visit business.panasonic.com.au/professional-camera.